Every year the BHF organizes several pubic lectures delivered by prominent archaeologists, historians, conservators, cultural resource managers, etc., most of which are team members of the Balkan Heritage Field School projects. Our aim is to share their knowledge, experience and expertise with colleagues from the Balkans. Prof. Roberto Nardi, Italy. The Roman City Of Zeugma (Turkey) Conservation Project. 22 May 2015, At the Archaeological Museum of Macedonia, Skopje, Republic of Macedonia. Prof. Roberto Nardi, Italy. 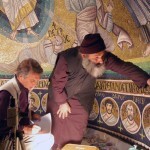 Monastery of Saint Catherine in Sinai: The Conservation of The Mosaic of The Transfiguration. 21 May 2015, At The Small Basilica, Plovdiv, Bulgaria. Prof. Roberto Nardi, Italy. The Conservation of The Prehistoric Sculptures of Monteprama, Sardinia, Italy. 20 May 2015, At National Academy of Art, Sofia, Bulgaria. Dr. George Bevan, Queens University, Canada. The Integration of Different Computational Photographic Modalities in High-Accuracy 3D Building Models: The Case of the Church of St. Petka, Bulgaria. 20 December, 2014, Sofia, Bulgaria. Andrey Mladenov, Ministry of Inferior. Archaeological Heritage at Risk by Andrey Mladenov. Dr . Alexander Gabov, Queens University, Canada. 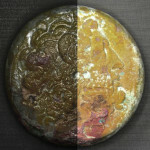 Reflectance-Transformation Imaging and Multi-Spectral Photography and their Application in Archaeology, Conservation and Restoration. 10 May, 2012, National Archaeological Institute with Museum, Bulgarian Academy of Sciences, Sofia, Bulgaria. Mrs. Silvana Blazhevska, Director of National Institution Stobi, Republic of Macedonia. Recent Archaeological Studies at Stobi. 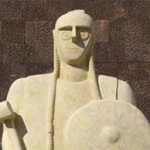 25 April 2012, National Archaeological Institute with Museum, Bulgarian Academy of Sciences, Sofia, Bulgaria.